Voting for took place yesterday (22nd May) in the UK for both local and European elections, but we have to wait until Sunday 25th May before election day arrives in Spain. As I have done both of these things, my census card (Tarjeta Censal) has duly arrived through the post confirming my municipality, and informing me of where my polling station will be (Cómpeta Town Hall). On election day, I will need to take along my photo ID (passport or driving licence) as proof of identity and my census card to cast my vote. 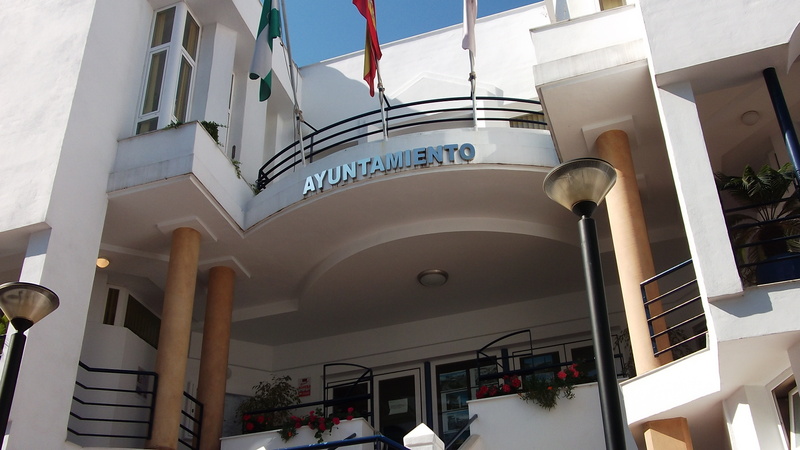 Providing a person is registered on the Padrón and the Census, then they will still be entitled to vote even if they have not received their census card through the post, though it might be best to check with the Town Hall where their Polling Station will be. Unlike the system in the UK where voters place a cross (X) next to the name of the person they wish to vote for – here in Spain it is the party for whom you cast your vote. Each political party will have already chosen their list of candidates who will represent them, and these lists can be found inside the voting booths. All I will need to do is pick up the paper listing the candidates for the party I choose, place that list into an envelope, take it to the official at the electoral table, prove my ID and then slot the envelope into the ballot box. In the Spanish voting system not only are you are not required to mark an X against the name of the person/party you wish to vote for, but if you do mark the paper, your vote would be spoiled. On Sunday, the people of Spain will be voting for 54 MEPs. Polling booths are usually open from 9am – 8pm (but times may vary). The list of parties that you can vote for in Andalucía can be found here. Have YOU voted in Spain? Is the system different where you live? This entry was tagged Andalucía, Cómpeta, culture, customs, East of Malaga, Europe, European elections, life, Malaga, Spain. Bookmark the permalink. great to hear you are taking a chance to vote. Many here in NZ don’t bother and that saddens me a great deal. I agree Jo – suffrage (especially for women) was hard-fought for. I could’ve and should’ve but didn’t….we’ll, all that propaganda that came through the door in Spanish, I really didn’t want to wade through it all. But I know I should have, shame on me. It is difficult to understand all the technicalities of the individual parties, Wendy – especially for us immigrants. It’s interesting to learn how-that another country’s voting system works differently. We went through all this last year in Australia’s federal election… many of us would like to see a different system here… the Spanish method of voting for a party seems so much more transparent and less convoluted. Voting is compulsory in Australia, isn’t it Ella? Yes, but fielding political parties with integrity who keep election promises appears not to be… Apparently ‘no more taxes’ is a loose term.